On March 12, 2019, on the day of Procopius the Confessor of Decapolis, in Kyiv, at the Patriarchal Cathedral of the Resurrection of Christ, the Decree on convening the Synod of Bishops of the Ukrainian Greek Catholic Church in 2019 was announced. According to canons 103 and 106, §2 of the Code of Canons of the Eastern Churches, by the authority of the Supreme Archbishop of the Kyiv-Galician Ukrainian Greek Catholic Church, His Beatitude Sviatoslav, by his Decree of March 12, 2019, convenes the Holy Synod of Bishops of the Ukrainian Greek Catholic Church to be held in Rome (Italy) during September 1-11 this year. The main theme of this Synod of Bishops of the UGCC will be "Communion in Life and Testimony of the Ukrainian Greek Catholic Church". All bishops of the Ukrainian Greek Catholic Church are invited to participate in the Synod, who, by virtue of the Church Law and their oath, have an urgent obligation to take part in it. His Beatitude Sviatoslav, the Father and Head of the UGCC, heartily invites also Emeritus Bishops, members of the Holy Synod. As we have already said, on September 1, this year, the Divine Liturgy will be held at the Cathedral of St. Sophia in Rome (Italy), headed by His Beatitude Sviatoslav, the Father and Head of the UGCC, with the participation of the whole episcopate of our Church, numerous clergy, monastics and laity. "We invite all our eparchies, exarchates and pilgrimage centers to organize this pilgrimage for the purpose of joint all-church prayer in the temple of St. Sophia on the occasion of the 50th anniversary of its consecration," said Bishop Bohdan Dziurakh, Secretary of the Synod of Bishops of the UGCC. In addition, another commemorative event of this year's Synod of Bishops of the UGCC will be honoring the 150th anniversary of the birth and the 100th anniversary of death of the blessed Josaphata Gordashevska. September 5 at 15:00, in the Pontifical Basilica of Santa Maria Maggiore, with the participation of the entire episcopate of the UGCC, headed by His Beatitude Sviatoslav, the Divine Liturgy will be held. 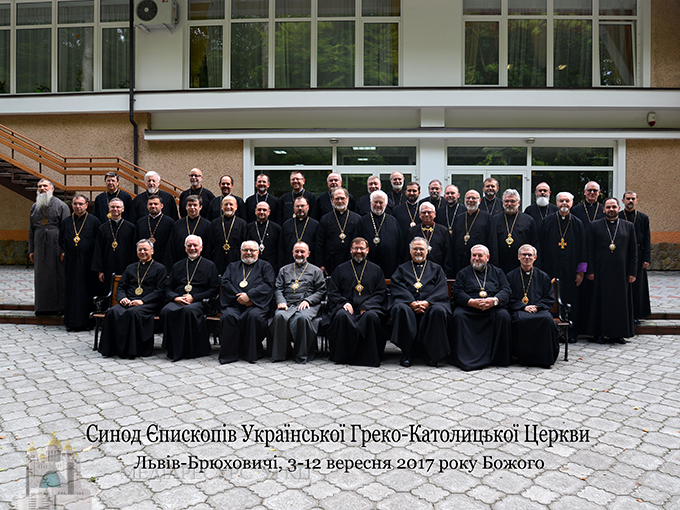 Therefore, preparations for this future Synod of Bishops of the Ukrainian Greek Catholic Church are already being actively pursued.